Today, I am still reading The Passage by Justin Cronin ... BUT, I think I am going to actually finish it this week!! Woohoo!! I am definitely getting more into the story than I previously was and am curious to see where the story leads. What will be up next? I really need to read Fables #7 by Bill Willingham because it is actually due back at the library (it may even be a day late or so!). I also need to read The Book Thief by Markus Zusak because it is this month's book club pick and our next meeting is quickly approaching. BUT, I also want to get to more RIP reads!! There is simply not enough time in my day to read all that I need and want!! Writing. Well it was obviously poor last week since I did nothing BUT my weekly post! I am hoping for so much more this week. 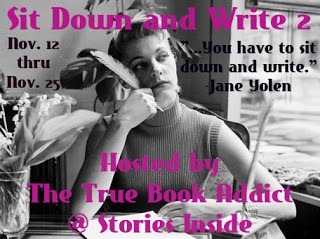 In fact, Michelle from The True Book Addict has me very excited about writing again because she is hosting Sit Down and Write 2 over at Stories Inside next month! I am actually hoping to get all caught up on my reviews and freelance pieces over the next couple of weeks, so that I may devote the majority of that time to my "other" projects! Once we get a bit closer, I will probably share more. Just not today because I am still working to map some things out!! Last week, I was really feeling down and I think it reflected in my maunderings. This week, I feel like I am doing better. 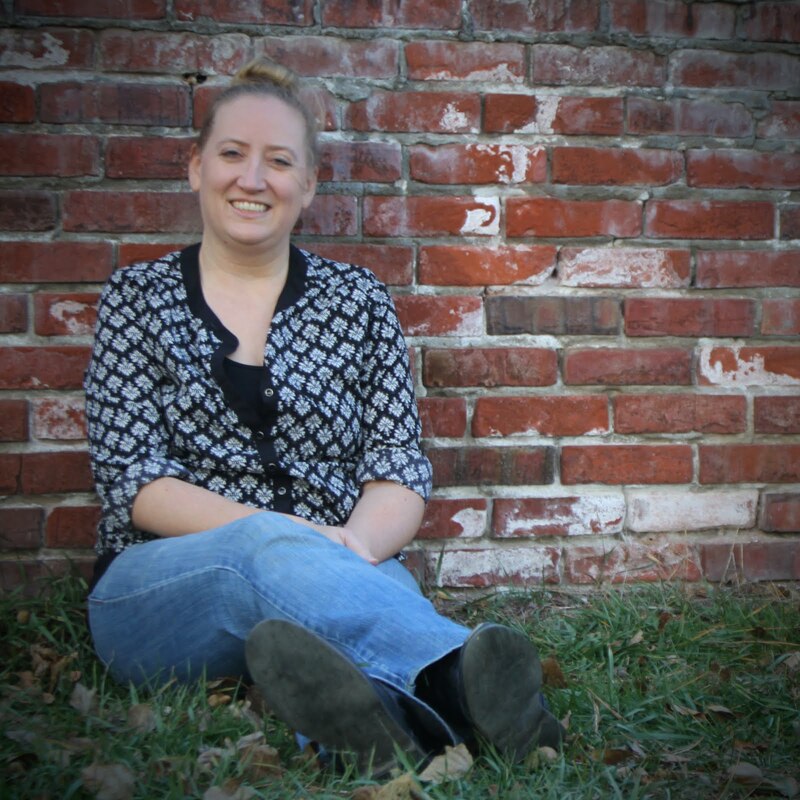 Fall is already a hard time of year for me with my multitude of things going on ... full-time job, teaching a class, freelance writing, transporting children, and all the other usual chores around the house. This year has just been more difficult with the loss of my dad. I've thought about picking up the phone to give him a call and always stop myself, knowing that he will not be on the other end. I also really just want to be done with my current job. I have made up my mind to leave my current profession, but have to hold on for just a bit longer. I'm not sure which direction I will take next, but I am currently debating two routes. I won't get into it this time, but I am sure I will be sharing these routes at some point in the future! I just need to do a bit more research and thinking on the topic before I decide to go "public" with my decisions!! Overall, life is just overwhelming. 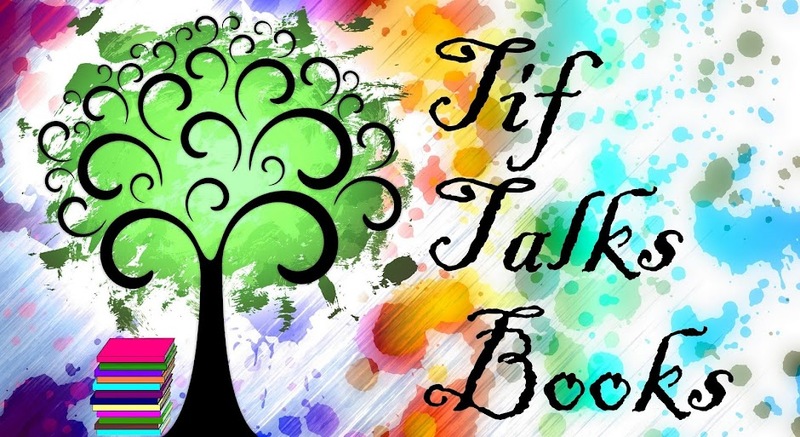 Thank heavens there are books to get lost in and amazing readers to support me here at Tif Talks Books. I really cannot thank you all enough for all your support over the years, but particularly this last year when my life has been turned so upside-down! You all have been so amazing!! On a lighter note, I just have to gush for a few minutes over my new favorite TV show: Sherlock on BBC! My husband and I just finished Season 2 over the weekend and cannot wait for Season 3 next year. This show is so amazingly brilliant that I cannot get enough of it! I highly, highly recommend this one!! That's enough rambling for now! I'm off to write some more before heading to bed with some virals (i.e., The Passage)! Tell Me: How was your reading and writing this past week? Any other Sherlock fans out there that want to gush with me?!? Sherlock is awesome! Have you watched Elementary? I was worried because the two shows seemed so similar but they're actually not and it's a fun take on Holmes and Watson. Good luck with the career change! I'm still deciding what I want to do when I grow up. ;) It seems like there's a downside or a large obstacle to everything I might want to do. I guess I just need more thinking time! Kristen M. ... I have watched Elementary! At first I was skeptical, but I like where they have gone with it! Thanks for the luck!! I think I'm going to need it!! Ha! I was going to ask the same question Kristen did. Love the BBC show, but also enjoy CBS's Elementary! Amateur Novelist ... As I mentioned to Kristen, I have watched both! In fact, I was pleasantly surprised with Elementary!